MOUNTS ANYWHERE. INDUSTRIAL DOUBLE STICK TAPE OR MOUNTING BRACKETS. PLACE YOUR HAND JUST UNDER THE UNIT AND 1 ML OF SOLUTIONS WILL BE DISPENSED INTO YOUR HAND. 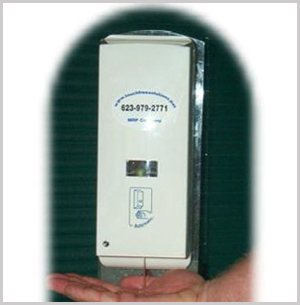 Refillable Bottle for touch free dispensers. 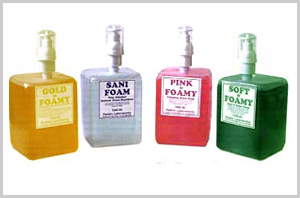 Open the lid and poor in your favorite soap, lotion or sanitizer. Holds 800 ml for up to 800 applications.